Headquartered in Muncie, Indiana, Muncie Power Products is a leading manufacturer of power take-offs and fluid power components for the work truck industry. As a member of the multinational Interpump Group, we also maintain eight other facilities across the country as well as a global distribution network to best serve our customers. These facilities include not only a manufacturing division, but also seven warehouse and distribution centers. At Muncie Power Products, we have a rich history within our industry and are proud to be a provider of leading customer service and quality products for more than 80 years. 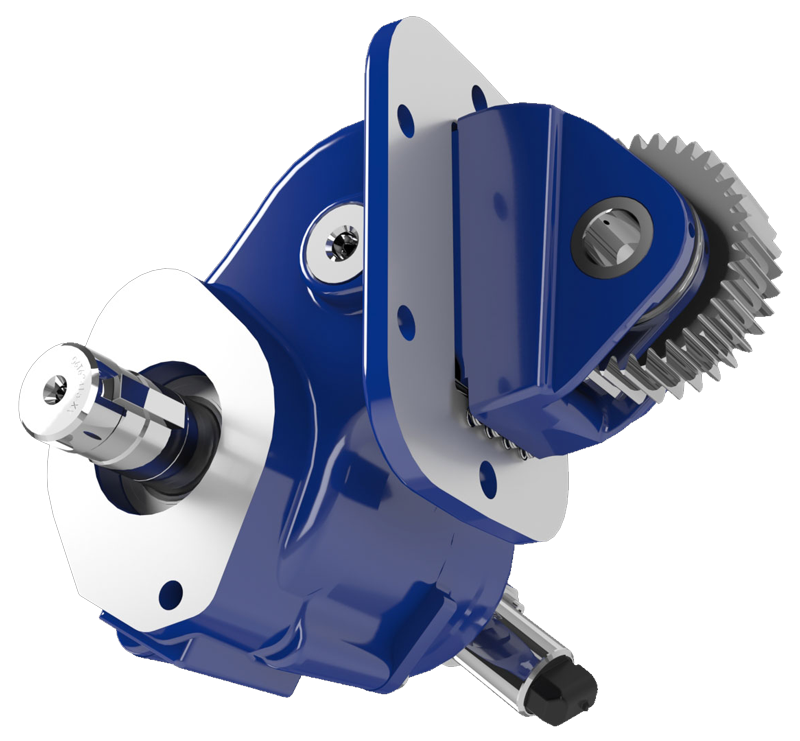 Although known for our robust line of power take-offs, Muncie Power Products is also a provider of hydraulic components for the work truck industry and a variety of other hydraulic applications. To date, we offer a wide breadth of products including: power take-offs, pumps, cylinders, motors, valves, reservoirs and filters. These products can be used in a variety of applications, from utility trucks to dump trucks to walking floor trailers; just to name a few. Muncie Power also offers snow and ice control systems via our Snow & Ice Division. These systems are not only efficient, conserving salt and saving on monetary cost but outfitted with the latest technology to combat winter weather to keep our customers' systems running, and their trucks on the road. At Muncie Power Products, we understand the important role our power take-offs, fluid power components and snow and ice control systems play in our customers’ applications. For this reason, we are dedicated to delivering value to our customers and have been for more than 80 years. We deliver value each day by meeting customer needs and the demands of today’s society with easy, trouble-free solutions. Muncie Power Products focuses on building trust by supporting industry professionals who value an easy and efficient way to supply, build, operate and maintain quality work trucks and other selected equipment. Our team is prepared to help our customers select the appropriate components and/or design a system to meet each customer’s specific needs. Through this approach and our commitment to the constant improvement of our people, products and services, we continue to deliver unmatched customer support, increasing trust and strengthening relationships to best serve our customers. We know that at the end of the day we are building much more than hydraulic components; we are building trust. As one of the top organizations within the hydraulics business internationally, Interpump Group manufactures numerous products within a variety of sectors. Today, Interpump Group is the world’s leader in power take-offs and high pressure piston pumps. Serving North America, the Pacific area, Italy, the rest of Europe and international consumers, Interpump Group is comprised of more than two dozen companies across the globe including Muncie Power Products. With Muncie Power Products addition to the multinational organization in 1999, Interpump became the largest manufacturer of power take-offs worldwide. Since then, Interpump Group has proven a great parent company and partner with its related product companies and understanding of our industry, brand, products and people. This mutually beneficial relationship has not only led to numerous opportunities into other product lines and resources to better serve our customers, but market knowledge thanks to an extensive network of sister companies through the Interpump Group.